The Supreme Court today directed Delhi and Haryana to approach the Upper Yamuna River Board to settle their dispute regarding Yamuna water sharing. The court is hearing a petition filed by Delhi’s Kejriwal government seeking its intervention to directHaryana to supply 450 cusecs of potable water daily to Wazirabad barrage for supply to Delhi as per its 1996 order. It also informed the court that it would advise both states not to indulge in litigation and rather come before it for a solution. “Even otherwise this is the right way. When there is a Yamuna Board, an expert body which exclusively deals with it then why should we intervene?” asked Justice Lokur. The bench was informed by Haryana that it would for the time being continue with the daily supply of 150 cusecs of water. SC asked Delhi to file a fresh application to Haryana for the continuation of the supply till the issue is resolved by the Board. “Take a decision quickly as it relates to drinking water and not irrigation water”, the bench told Haryana. Seeking the intervention of the Yamuna Board, the bench had said during the last date of hearing: “Is not there one Upper Yamuna River Board or something? What are they doing. It’s like they do not want to do their job. If they do not want to do their job, why should we do their job?” justice Madan B Lokur asked. A secretary-level ordered by the court earlier this month has apparently failed. Justice Lokur had told an official of the Upper Yamuna River Board present in the court: “There is a mechanism regarding the distribution of water. You please tell the Board members we want a decision by Monday and the matter will be heard next on coming Wednesday. Delhi had rushed to the Supreme Court on March 23 saying that the capital was staring at a water crisis as the neighbouring state was no honouring the 1996 SC directive to release 450 cusecs of water daily to Delhi. 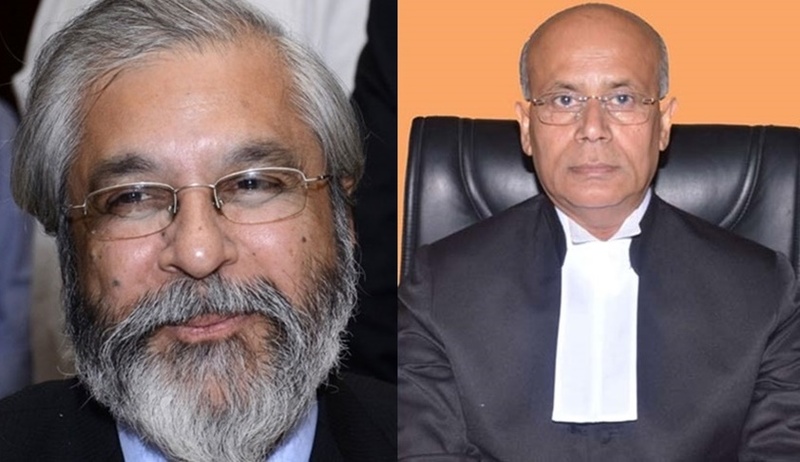 After that a bench headed by Justice Madan B Lokur summoned Chief Secretaries of both the states and directed them to thrash out the issue in a meeting. On April 23, they had a meeting with Secretary, Ministry of Water Resources, River Development and Ganga Rejuvenation (WR, RD & GR) along with their officers. The bench had taken a strong note of the apathy shown by authorities in dealing with the water woes of the residents of the national capital. “People are dying. But no urgency is being shown by you people”, the court said ordering the meeting between two states.